Have you thought of doing obedience classes with your dog? These classes can be a follow-on from puppy pre-school which teach good manners and basic obedience. Obedience is a fun sport and many friendships will be made along the way. Obedience trialling may become an addiction involving the whole family. Obedience training has changed a lot in recent years with emphasis now on positive methods through which the dog learns by being in a situation where it will succeed and receives rewards of some sort for its efforts, such as play / toys/ food etc. Past methods of training by unpleasant correction have been replaced with a positive attitude and this results in a dog who is more willing to work and wants to do more. 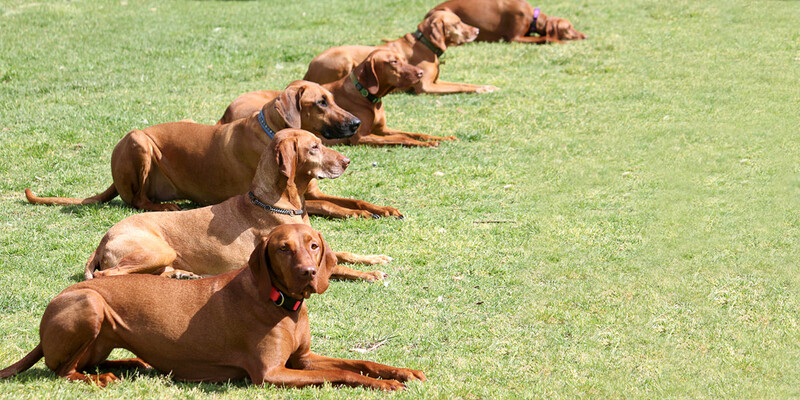 Obedience trials are held all over the country and is open to both purebred and non purebred dogs. There are five levels of obedience in Australia, each level more difficult than the one before. Most levels require a pass of 170 points from a possible 200 points to gain a pass and, the dog must pass every exercise. Titles available are Community Companion Dog (CCD) / Companion Dog (CD) / Companion Dog Excellent (CDX) / Utility Dog (UD) / Utility Dog Excellent (UDX) and Obedience Champion (OC).